Ali Haddad, one of Algeria's top businessmen and a backer of ailing President Abdelaziz Bouteflika, was arrested as he tried to cross into Tunisia, an Algerian security source said Sunday. Haddad, who Forbes magazine describes as one of Algeria's wealthiest entrepreneurs, was detained overnight at a border post with neighbouring Tunisia, said the source speaking on condition of anonymity. His arrest was also reported by Algeria's El Watan newspaper and the news website TSA. Haddad was widely seen as a political tool of Bouteflika, 82, whose decision in February to seek a fifth term in office despite his failing health sparked nationwide protests in the North African country. Protesters are also demanding a change of government and the departure of those close to Bouteflika, who uses a wheelchair and has rarely been seen in public since suffering a strike in 2013. Reasons for his arrest were not immediately clear and there was no official explanation for his detention. A judicial source said there were no arrest warrants for the business tycoon and that he did not face any travel ban. Since 2014 Haddad was the president of the Business Leaders Forum, Algeria's leading employers' organisation but he quit the post on Thursday as criticism mounted against him for supporting Bouteflika. Haddad had backed Bouteflika's fourth term in office and had thrown his support behind him for his re-election in April polls but in March the president vowed not to seek a fifth term. 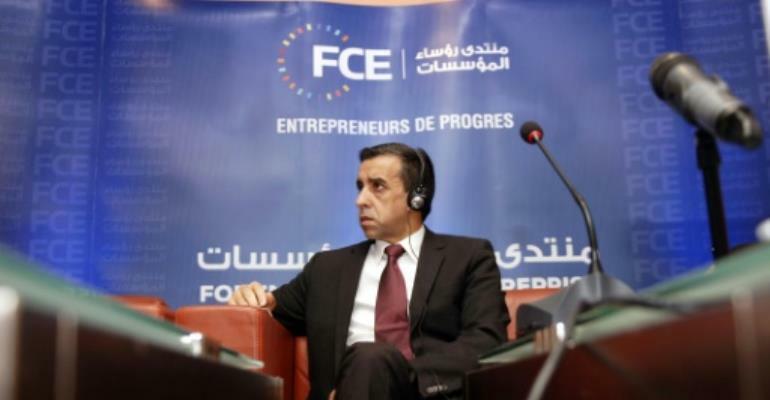 The 54-year-old businessman is also the founder and CEO of ETRHB, a private construction firm, owner of the football club USM Alger and of two television stations Dzair News and Dzair TV. A journalist at Dzair News also confirmed Haddad's arrest.